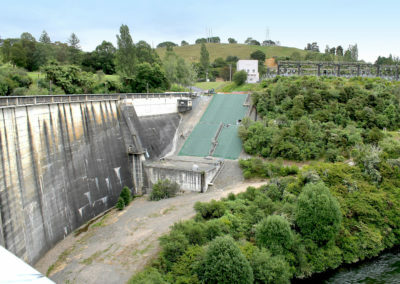 The Karapiro Hydro Dam is the last of a series of Dams on the Waikato River, situated just above Cambridge and Hamilton in New Zealand and plays a critical role in not only power generation close to the markets but regulating the flow of the river through these urban areas. 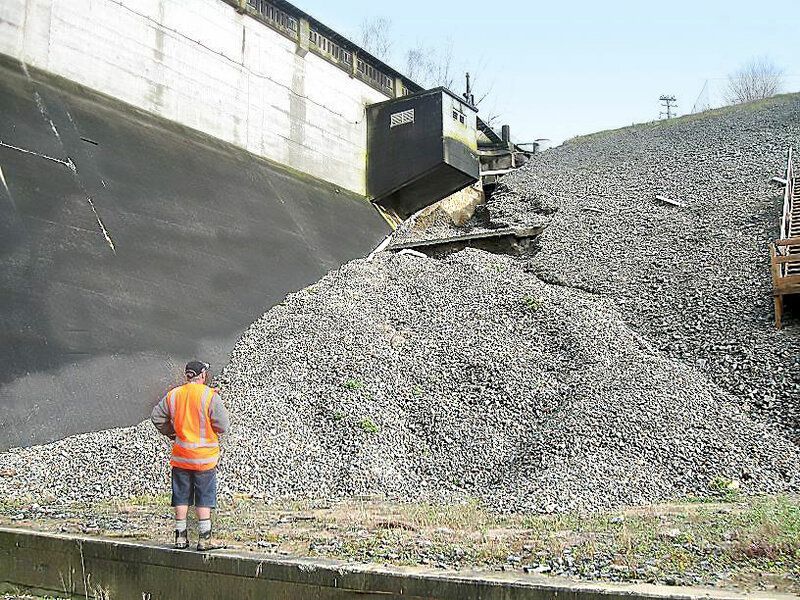 In a recent storm event the side walls of the dam on the downstream side suffered significant erosion which undermined some of the structures nearby and washed out the filter material which was in place to prevent soil migration and erosion of the dam supports. 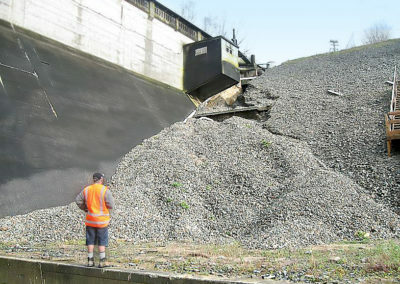 This had the potential to affect the integrity of the whole dam if left unchecked. 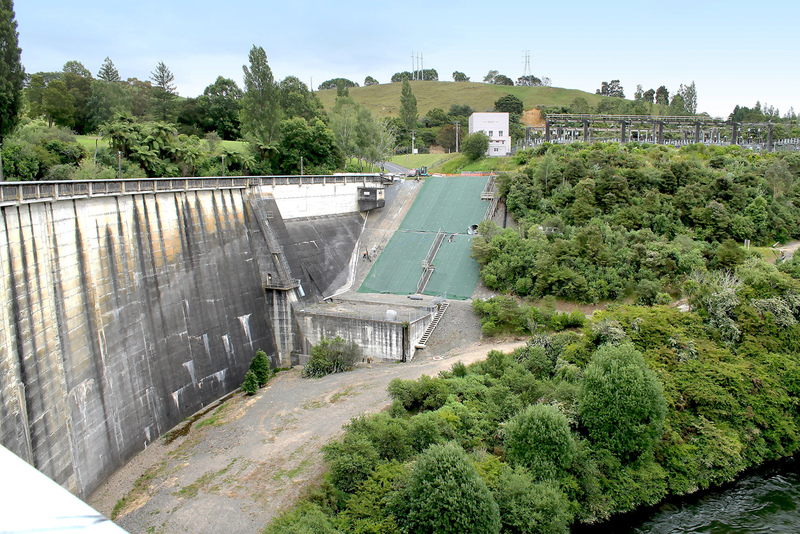 Specialist consultants Tonkin & Taylor were engaged by the client, Mighty River Power, to design a robust repair solution. 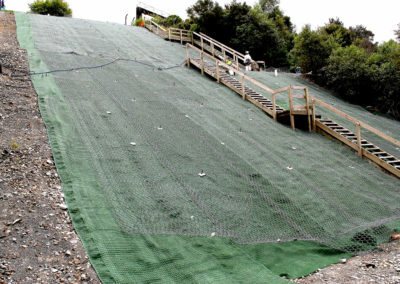 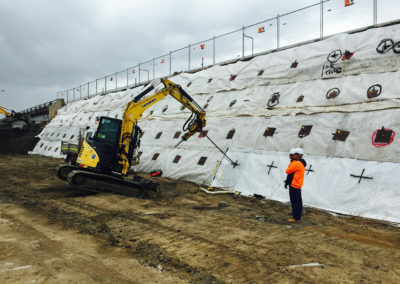 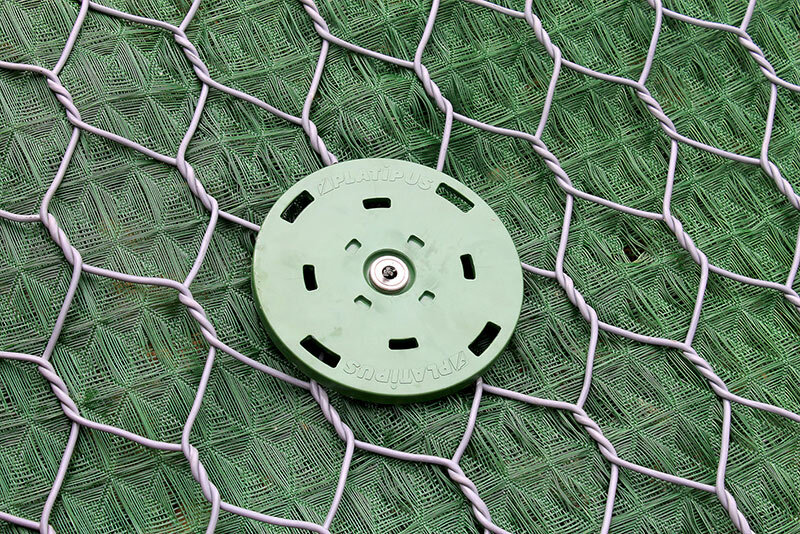 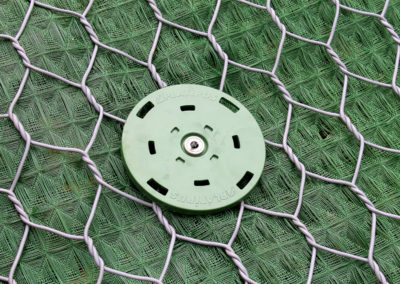 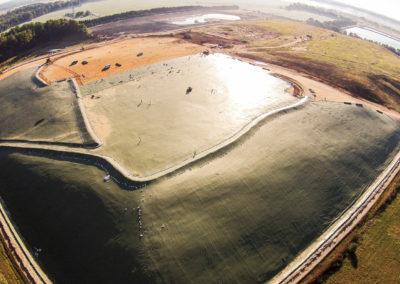 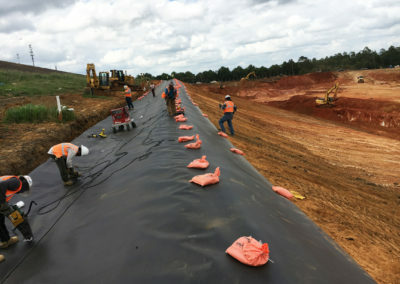 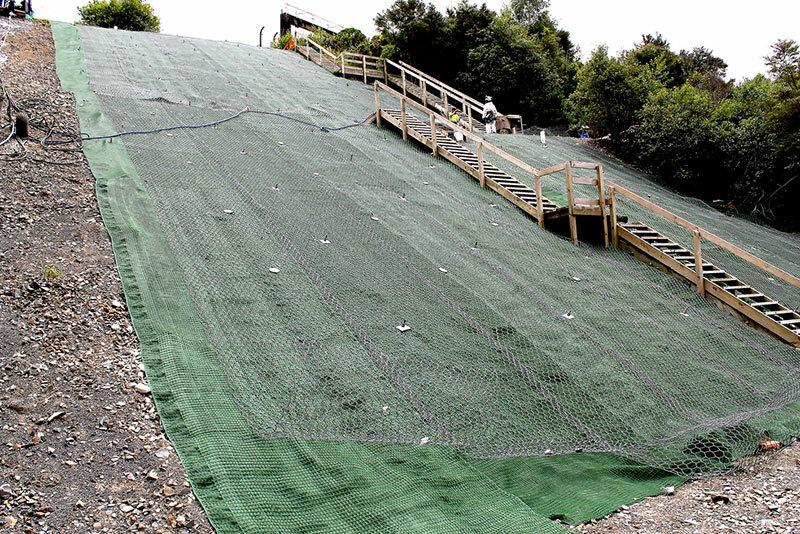 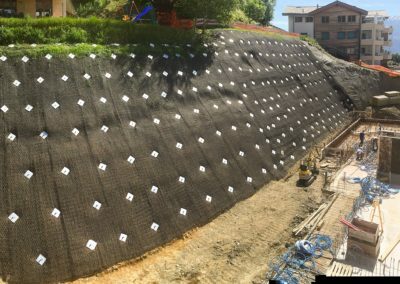 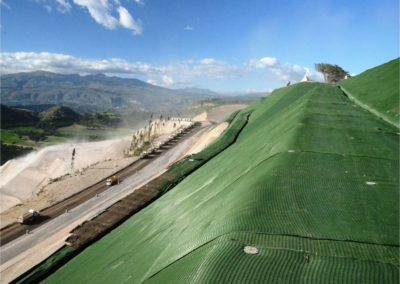 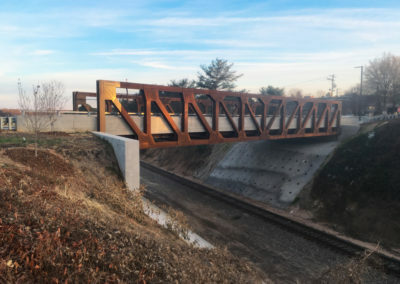 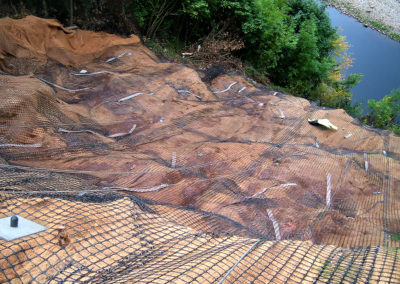 In addition to Stormwater diversion measures, the solution involved protecting the face with a High Performance TRM and Cirtex Rockfall mesh, which was then anchored to the slope with 250 Platipus S4 ARGS® Anchors. 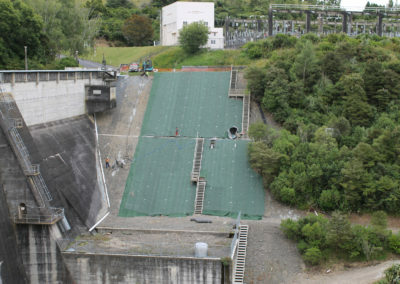 A number of larger anchors were also used at wider centres.